This is our first Cocktail Club of the 2016/2017 season! Corpse Reviver is a gin based cocktail that has many iterations. 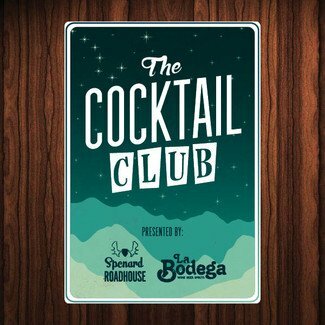 Come join Shawna of Spenard Roadhouse and Nikole of La Bodega for a Cocktail Club perfectly timed so that you’ll have a new drink to spook your friends with on Halloween weekend! Event begins at 8:30 P.M. $39 ticket includes the guided tasting magical evening that is Cocktail Club. And food! Small bites, that is, by the Roadhouse. Tickets are sold ONLY at our mini-Bo next to Middle Way Cafe and space is very limited.